In 2016, more than 42,249 deaths were attributed to opioid use, according to the Centers for Disease Control and Prevention. That’s the equivalent of more than 14 Sept. 11 attacks in a single year. 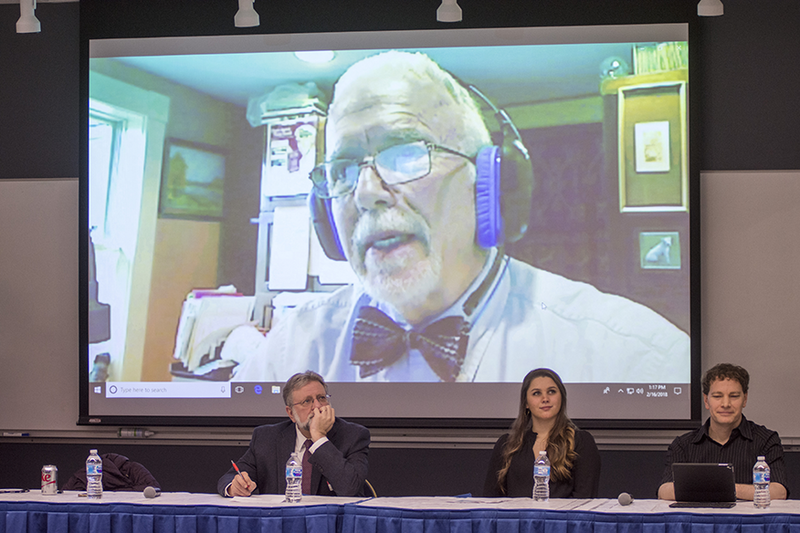 In mid-February, physician assistant (PA) students at the George Washington University (GW) School of Medicine and Health Sciences (SMHS) heard from a panel of experts about the role they can play to combat the epidemic. GW PA student Aaron Sours described his own experiences assisting with primary care in a rural community grappling with a high opioid abuse problem on Maryland’s Eastern Shore. Education, he said, is key for PAs wanting to help patients with opioid misuse or abuse issues, including understanding the waivers necessary to prescribe treatments for opioid use disorder, as well as the hurdles patients themselves face in getting care. In addition, he said, PAEA has been awarded a grant to educate a minimum of 30 percent of PA students and 30 percent of faculty throughout the country trained in “medication assisted therapy (MAT). Students also had the chance to see the issue from the policy side. Kate Dixon, Health Policy Fellow for Kansas Rep. Roger Marshall, MD, said many new restrictions and mandates are being implemented at the state level, such as supply limits, identity checks by pharmacists, and continuing medical education for clinicians, among others.